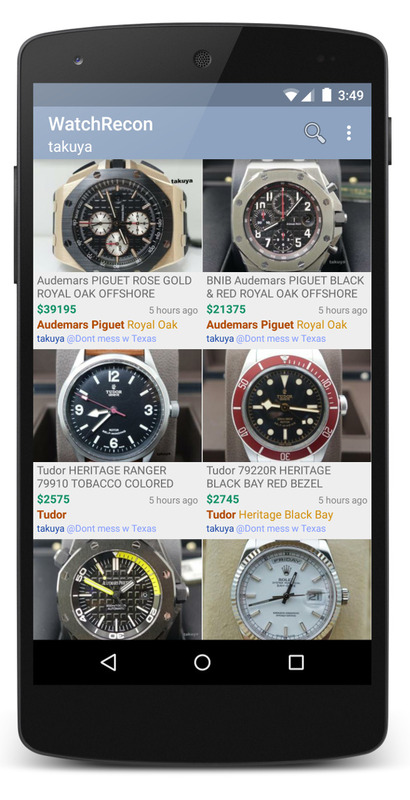 Get the full WatchRecon experience on your Android smart phones and tablets! To install this free app, simply visit this link or search for "watchrecon" with the Google Play Store app. 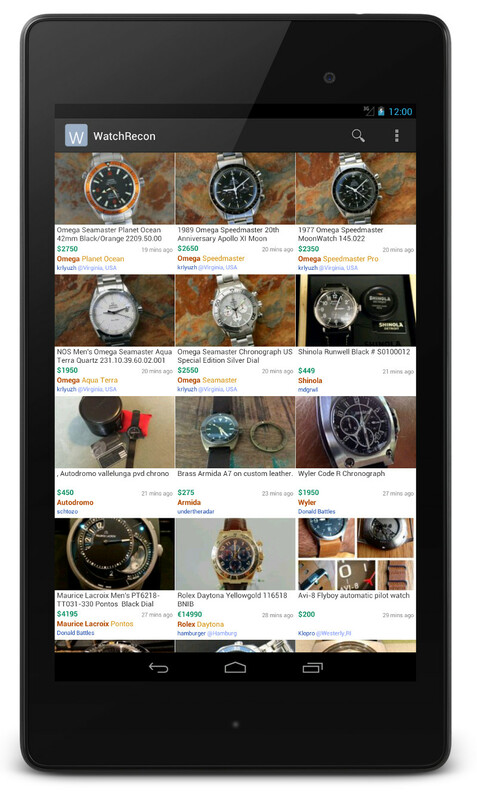 The Android version of WatchRecon is designed with the phone and tablet (screenshot) form factors in mind in order to provide a more friendly and faster browsing experience. Now you can check out used watches and get your fix easily on the road! You may also set up active notification alerts on search terms of your desire. This app monitors the stream of new watch listings and quickly alerts you via a notification when it finds watches matching your search criteria. Try it out. We will definitely be putting in more useful features in future versions. Please contact support@watchrecon.com for feature requests. If it's not too much to ask, we would appreciate it if you could rate and +1 the app!